Even though my son is only in half-day preschool, I have already learned the power of the after-school hour. That snippet of time between the end of the school day and the beginning of dinner or evening activities is a critical time for families who are able to be together then. It is a daily opportunity for us parents to reconnect and bond with our children, and a chance to set a positive tone for the remainder of the day. But of course, thanks to too much homework, too tight schedules, and too much fatigue all around, it can also be a time of serious stress and frustration. If your after-school time is feeling heavy on tension, demands, and strained conversation—and light on connection, family engagement, and energy—consider incorporating these three best practices into your after-school routine. Yes, that means avoiding the dreaded How was school today? question. Too often the response to that question is nothing but a monotone “fine.” That leaves parents feeling frustrated, which then makes kids withdraw even more. Vicious cycle. Instead, cultivate meaningful conversation with your kids by asking more pointed, in-depth questions—questions that show them you’re genuinely curious about their lives. What’s something good that happened at school today? What’s something kind you did at school? What’s something kind someone else did? What’s something bad that happened at school today? What’s something you created today? On top of that, consider encouraging your kids to say these four critical words every day, so YOU can tell them about YOUR day too! 2. Refuel the right way. The afternoon slump is real, folks, and it doesn’t just affect grown-ups. Kids feel it too. What we choose to snack on during those afternoon hours can make or break how we feel for the rest of the day. Likewise, it can impact how our kids function during homework time, evening extracurricular activities, and even bedtime. So while it’s super fun to greet our kids after school with a plate of cookies (and grab a few for ourselves, too), make that kind of sugar rush the exception rather than the norm. On an everyday basis, strive to offer your kids a nutrient-rich after-school snack with a good mix of healthy carbs and protein—to give them energy and keep them fueled until dinnertime. 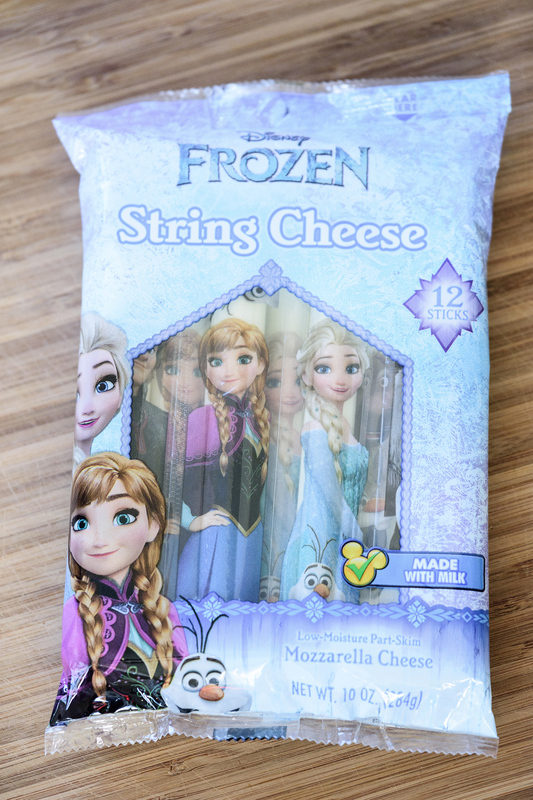 Right now we’re loving Disney® Frozen String Cheese, which we pick up at our local GIANT grocery store. It’s a wholesome, healthy snack choice for kids that’s a good source of both calcium and protein. Added benefit? It’s a convenient snack to take along for those afternoons when we’re on the go! I love that it’s a snack I can feel good about giving my son after school, knowing it nourishes his body and fuels him through the afternoon slump. 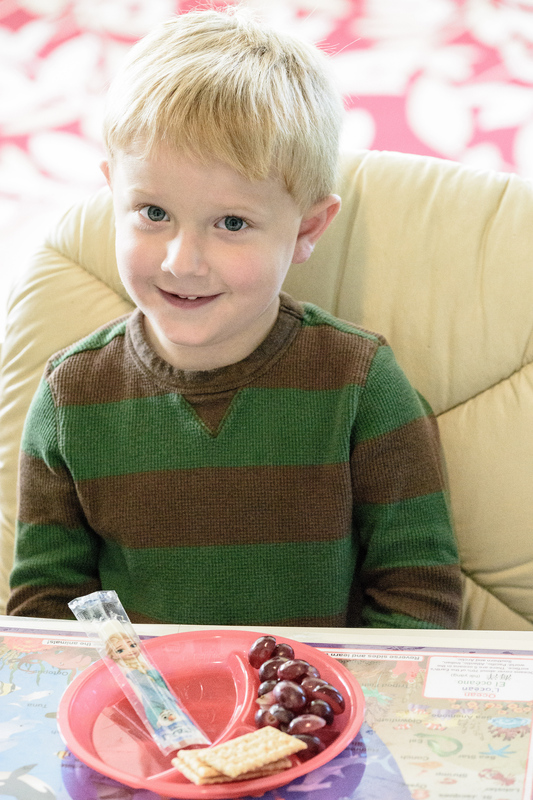 He loves that it tastes yummy and features some of his favorite characters! Want to pick up some for your kids? 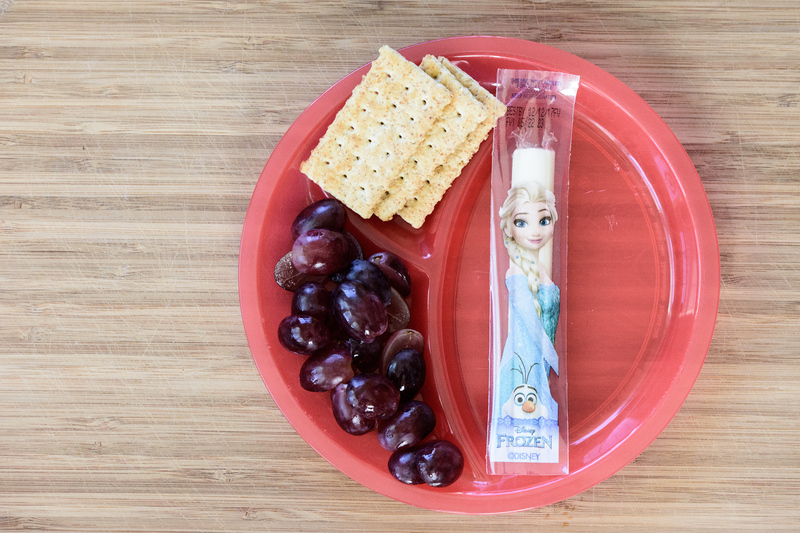 Here’s a coupon for $1 off Disney® Frozen String Cheese product—plus find some fun activities for kids and tips for busy moms! 3. Check your own attitude. For better or for worse, our children feed off of our attitudes and emotions. How we look, speak, and act towards our kids during the after-school time directly impacts how they then look, speak, and act towards us. Little mirrors, our kids are. So make it a habit to take some long, deep breaths before you pick your kids up from school or they come bounding off the school bus. Check in with yourself and acknowledge any stress or anxiety or frustration from the day…and then let it go. 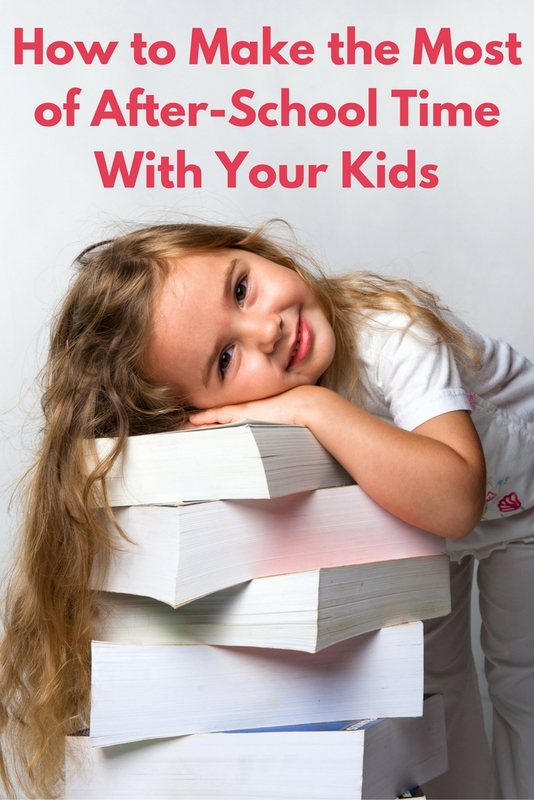 Then, upon reconnecting with your kids after the school day, your heart and mind will be clear, and you’ll be able to give them a genuine smile and show authentic excitement to see them. What better way to start the after-school hours on a positive note? 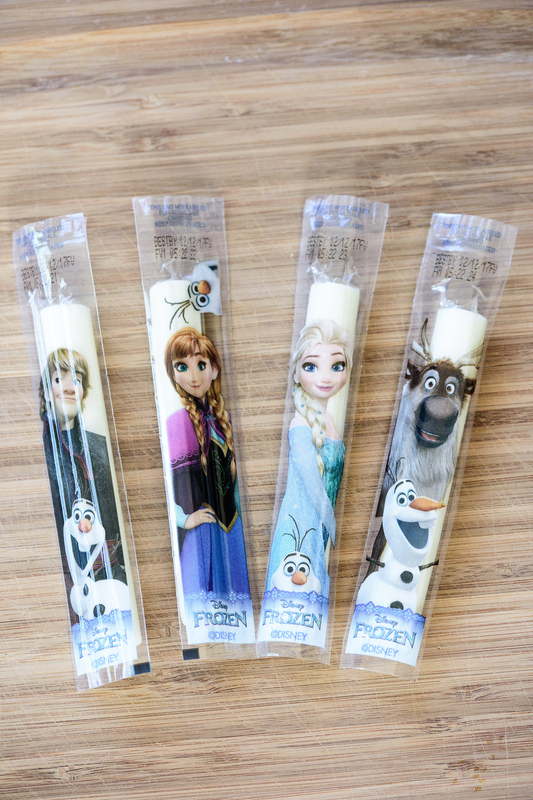 Don’t forget to grab your coupon for $1 off Disney® Frozen String Cheese product! How do you make the most of after-school time? Does your child have a favorite after-school snack?